Grappling has been used since the earliest sea battles. It is one of several methods used to establish a stable platform or limit the enemy's movement so that a good old bout of fisticuffs can follow instead of the combatants poncing about all over the sea. At different times and places opponets have roped their own ships together, roped the opponent so he can be pulled closer, bound alongside or be capsized. 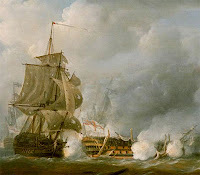 In piratical actions in the 18 and 19th centuries and when naval ships in the same era went after prizes it was a tactic to avoid grappling the rigging of an enemy ship. Damage to the rigging rendered the prize damaged and perhaps unsailable. Boarding often took place between the sterns of ships where the poop offered space to fight. 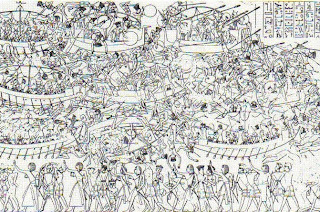 We have direct evidence for grappling being used to capsize ships by the Pharonic Egyptian naval forces at Medinet Habu by Rameses III's fleet. In the Classical Greek period it was usual for the sails and rigging to be left behind when ships went out to fight. A sail onboard meant extra weight and extra obstacles to be avoided as one tried to flee a sinking ship. It was also a psychological factor if the crews knew escape was dependent on rowing faster than the enemy. They should use their skill to win. Cleopatra may have had a different fate if she had had no sails aboard at Actium ? The absence of a mast and rigging, though' would mean that all those nice places where a grapnel or 'iron hand' could be lodged were not available. When ramming tactics became less dominant and many ships were broader and more stable, as well as more massive, a mast and rigging may not have been such a problem to have up in battle - unless one should reduce the lodgement possibilities for enemy grapnels? Getting grappled in the mast rigging could spell doom to the ship as it did to the Sea Peoples against the Egyptians. 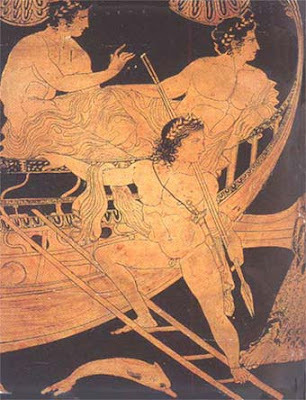 The movement of a single man across the beam on a trireme could be felt by the rowers. The deck troops sat down for most of the time to avoid stability problems. How lethal would dragging such a ship over by the mast be ? To knock the rules around again I have made a cocktail from as many sources as possible. The game process should be SIMPLE, LOGICAL,HISTORICAL. 1) Exchange of missiles at distance. At this point the harpax gets its surprise in because it can start the next phases early. 2)Close manoeuvre to come near to the target. 3)Grappling if this is desired. Hooks are thrown onto the enemy ship. The harpax would now be winding the target closer on windlasses. 4) Once the ships are close enough a close 'firefight' occurs and the side which dominates can either clear grapples or make an attempt to get troops onto the other ship. Use of a 'Raven' is not dependant on the fighting at this point, if a chance is there the thing can just be dumped onto the enemy deck. 5) Sometimes boarding may be attempted haphazardly with men jumping or stepping over to the other ship. 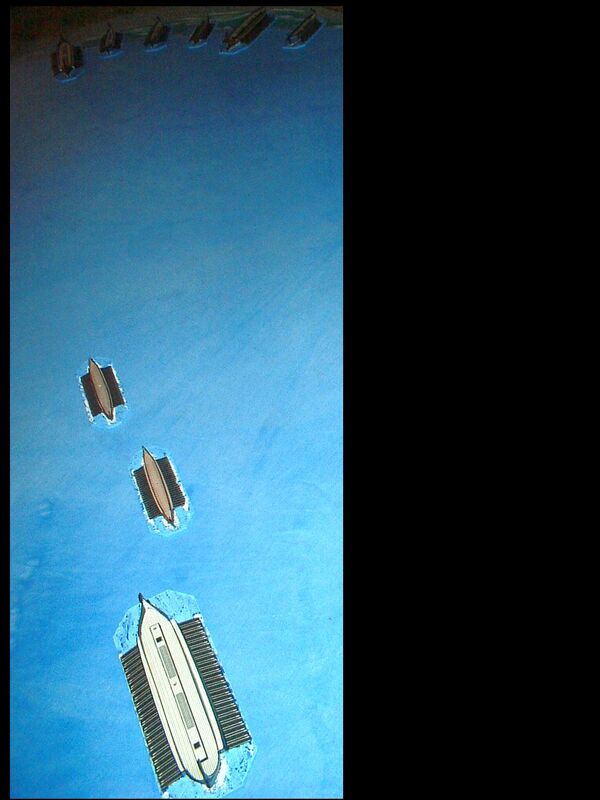 Otherwise boarding bridges are set in place and the attackers cross. Defenders may come forward to fight so there is fighting on the bridges. 6) Attackers gain the upper hand, kill or capture all the enemy deck-soldiers. 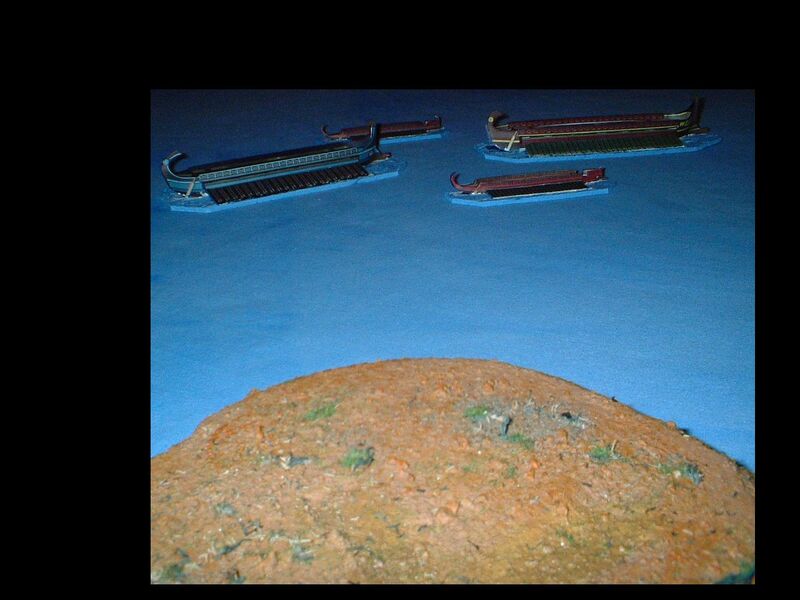 OR the defenders tip the bridges off and sever all grapples. 7)The target gets free OR the cleared ship crew surrender. The sailors and oarsmen are largely at the mercy of the winners and kept to move the prize. Some instances show ship crew fighting - but badly - some show them being massacred, but on the whole they seem to have been somwhat apart from the combat. They were defenceless trapped in their seats and not trained to fight marines/legionaries. 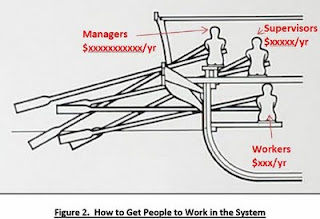 If a ship started to sink the lowermost oarsmen would be lucky to escape alive. This gives me a model for a game process which is iterative and can be broken-out of by either side if they get a sufficient advantage. SUCEEDS - THEN WIN or continue next round. 'Close enough' should be the point at which a ship is in a positíon to set grapples and get men across, NOT when it is at maximum grappling distance. This avoids any ideas on contesting grappling - a tug-of-war contest is difficult to make rules for. The harpax may need a rule like this but best to leave that as a special case. 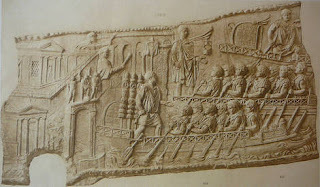 The ships on Trajan's column are finely depicted and give us a good impression of riverine craf. 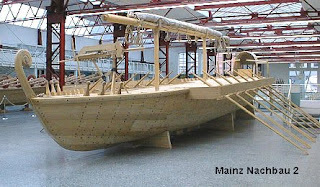 At Mainz Antiquities and Maritime Museum they have several replicas and the 'patrol boat' reconstruction of wreck 3 has a nice polybolon mounted on it. The 'boat' is mostly decked over but has benches for seven rowers a side which are not closed in. On the prow where the deck is continuous and only slightly hindered by the small stem-post on this riverine craft is a good place to locate the bolt thrower where it gets a good shooting-arc. Visit the museum website HERE for a good look round. 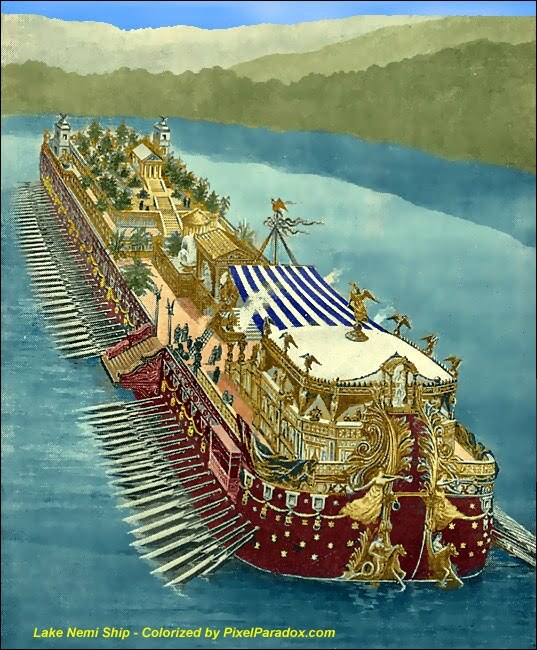 Just a nice illustration which gives a hint of the incredible appearance of the Hellenistic super-ships. This is a coloured version of the cover of Scientific American from 1906. It depicts one of the Nemi ships of Caligula which, although meant for use on a small lake equate with the large polyremes in size. So, the warships did not have the temple, bath house and tivoli on the main deck but they would have had some structures and its the sheer scale which impresses here. Bearing in mind the ancient authors reckon up to 7,000 people could be aboard the largest ancient ships. The ancient Greeks did say the thalamites suffered the sweat and piss of their 'superiors'. 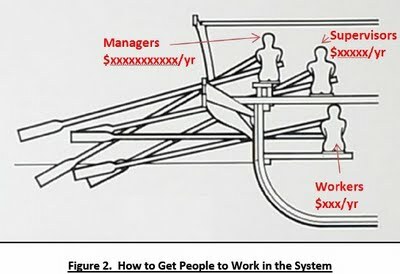 This was used in a business management context. Incentive ? 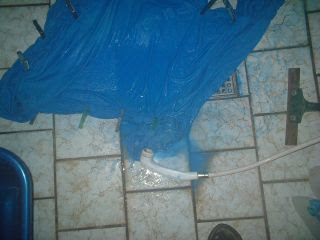 The result apears to be chaos. Mounting engines on a galley gives some problems in relation to balance on the ship - the centre of gravity must not rise too high - and stability - the weight must be distibuted evenly. In addition, the stem and stern provide obstacles to any arc of fire - both were built up to provide cover and in case of ramming to help repel boarders. Towers were light constructions which could be put up and down. Even on the Syracusia, a giant, they only contained half a dozen marines and 4 archers. 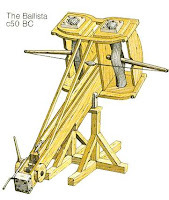 Machines could not be set up in them except perhaps for the lightest bolt-throwers but these were only developed in the early years A.D.
Where should the engines go, then ? The obvious answer is somewhere amidships. Amisdships also gives a good arc of fire to present a broadside to enemy ships, especially any attempting a ramming run at the beam. 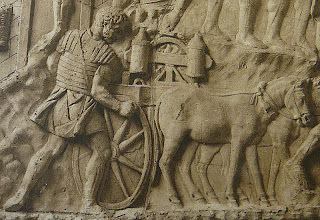 The illustration above is from a now damaged section of Trajan's Column. 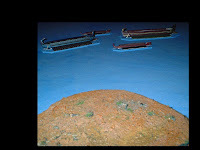 It shows ballistae mounted amidships in what is possibly a river-going liburnian. 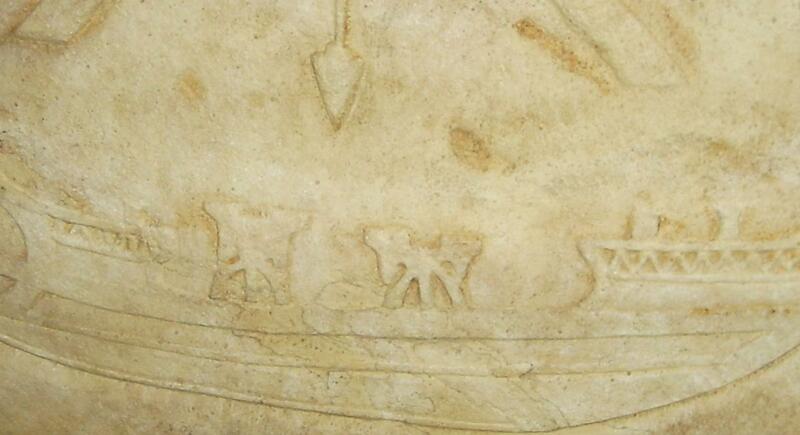 The ship is, however, different from the liburnians depicted elsewhere on the column. 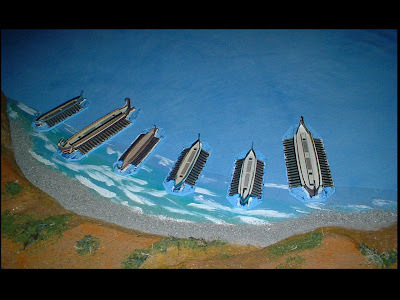 It has no rails or parados amidships, with the machines sitting low-down, perhaps to lower the centre of gravity and maintain stability with these heavy items onbaord. On other parts of the column light manubalistae are clearly depicted and these weapons are different and, I suggest much larger. 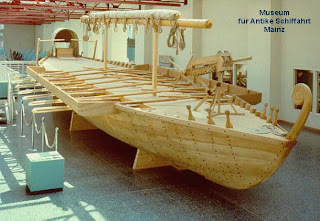 In the circumstances of Trajan's Dacian campaign these machines could give support to troops on shore from the Danube. 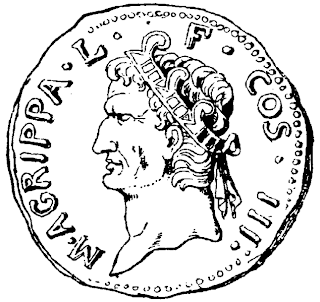 The innovative harpax or siezer as devised by Agrippa had three novel elements (according to Appian). The attachment of several ropes to the same grapnel may have been novel or not. The business end was quite heavy, an iron grapnel, a main stem bound with iron and having rings at each end for fastening and the several ropes behind it. Appian says, however, that it was light enough to be projected a considerable distance into the enemy ship. A 13Kg stone took a machine weighing up to 3 tonnes to throw it. The Syracusia, Hieron of Syracuse's colossal 55m ship was equipped with exceptional bolt throwers which took projectiles of 18feet length. The harpax projectile was 5 cubits long, (x45cm = 225cm or nearly 7feet. The common Scorpio or manhandleable oxybeles threw a bolt of 27"/67cm. 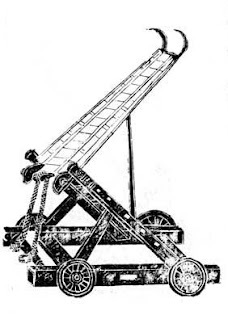 The harpax projectile was bound in iron, fitted with iron rings and had a grapnel linked onto the front, in addition it trailed several strong ropes: whatever Appian says, it was not light. This shows us that the engine part of the harpax system was of considerable size. 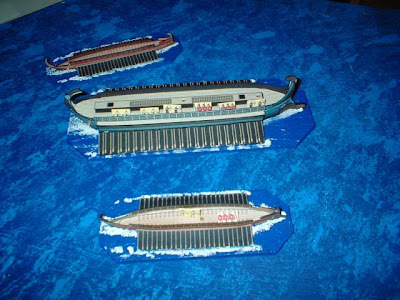 At Naulochus Appian describes both sides ships as being of similar size and appearance with towers on the deck. 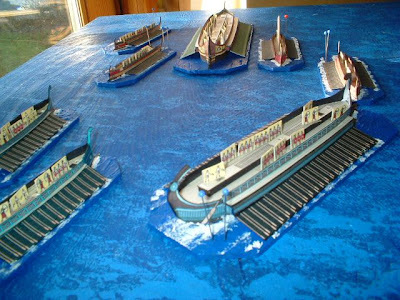 The smallest ships with towers I can find reference to are 4's. Casson reckons a 4 could ship a handful of light bolt shooters and a pair of 3kg ball-throwers. 3kg is not enough to throw a harpax projectile. This limits the use of harpax to ships of 5 or larger, I would suggest, which could safely mount a large thrower and the winching gear on a superstructure strong enough to take the stresses of its use. The siezer, like the other Roman innovation for sea combat, the raven, did not retain its tactical surprise advantage for long. Appian implies that by his time it was normal for ships to be equipped with scythes on long poles so that even the siezer's long projectile could be cut free of the trailing ropes. 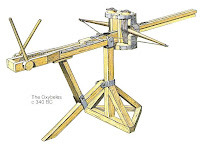 A simple solution to neutralise such a complex weapon system: but a weapon which functioned long enough to give Octavian an edge in sea fighting and help him gain supremacy. 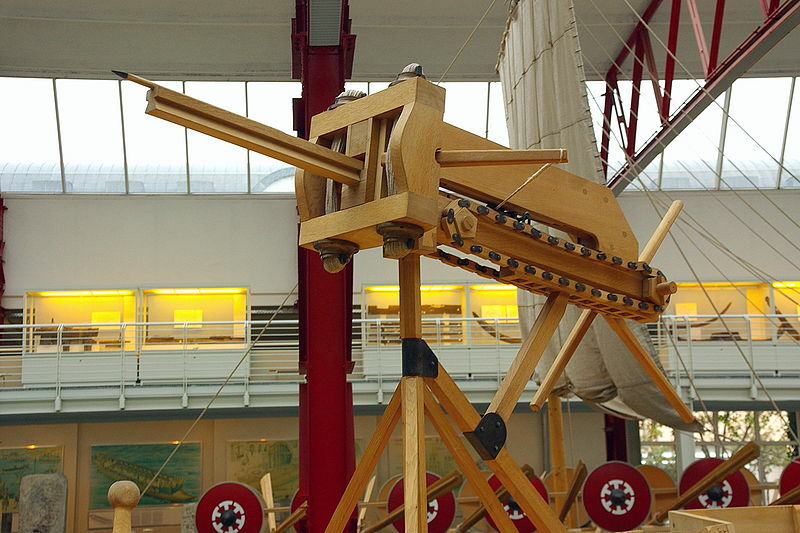 The repeating bolt-shooter, the polybolos invented by Dionysius of Alexandria in the 3rd century bc. It could shoot from a hopper which held about 20 bolts. 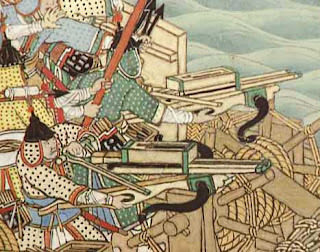 The Chinese had a repeating crossbow in the 4th century bc and although we have no other evidence before 1600 it turns up in a larger form used in a naval context in the Imjin War between Japan and Korea. This example underlines the efficacy of the idea and the practicality of the concept in a naval engagement. Raven or Cloud Ladder Cart ? The concept behind the raven has come up in another context in history. The ancient Chines of the Warring Kingdoms period which was about the same time 300b.c. "...construct a chassis out of large timbers and place 6 wheels underneath. 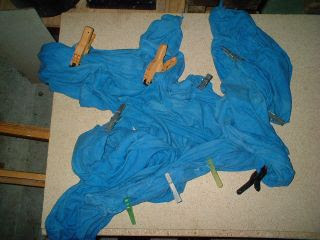 On top set a couple of Ya "Teeth" and Gua "Clamps". The ladders are 3.6m long with 4 Zhuo "Rungs" placed 90cm apart, and in shape they are slightly curved so that they pass over one another and clamp into each other. The ladder flies into the clouds and can be used to peer into the city. At the top are a couple of Lu Lu "Pulley Wheels" which rest on the walls as the ladder is extended." This Cloud Ladder is depicted from a medieval scroll. An analogous solution to the boarding/escalading problem: an extendable stable platform with a stable access gangway/ladder which is locked onto the target. See also John Needhams books on ancient asian technology but they cost a bomb. This extract from an attempt to storm a fort could be translated to a sea battle. A boarding action could have closely resembled the storming of a wall as described here. He took an abundance of iron tools, for wall fighting, and ladders of every form. He carried machines for filling the ditches, and folding towers from which planks could be let down to the walls; also all kinds of missiles and stones, and wickerwork to be thrown upon the palisades. They made a violent assault, filled up the ditch, scaled the palisades, and advanced to the walls, which some of them undermined, while others applied the ladders, and others simultaneously moved up the towers and defended themselves with stones, arrows, and leaden balls, with absolute contempt of death. This was done at many different places, and the enemy being drawn in many different directions made a more feeble resistance. 37 The planks having been thrown upon the walls at some places, the struggle became very hazardous, for the forces of Lucius fighting on the bridges were exposed to missiles and javelins on every side. They forced their way, nevertheless, and a few leaped over the wall. The precarious nature of the enterprise is very obvious here. The Roman raven can be seen as a device which sought to make boarding a more deliberate procedure which could become a straight fight. Time and again the contrast is made between fighting a sea battle and 'fighting a land battle at sea'. When the 'land battle at sea' develops it is usually because some circumstance limits the other side's mobility. The fight takes place in restricted sea space against a shore or in a strait or one side is surrounded. 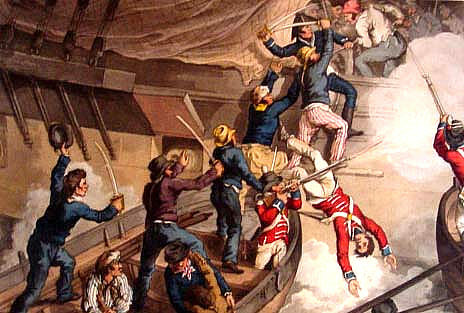 There are some instances of ships setting a boarding plank at the bow instead of the stern in connection with combat. Although not ship-to-ship I think they add weight to the idea of using the 'brow' plank to cross to another ship if they were not stem-to-stem. In the Peloponnesian War 4.11 the Spartan commander, Brasidas, orders his ship to beach bow-first and attempts to land via the apobathra but is wounded in doing so and falls off it. In Herodotus 9.98 an assault landing is made at Mycale when the Greeks land troops on beach after ensuring they have gangplanks with them. 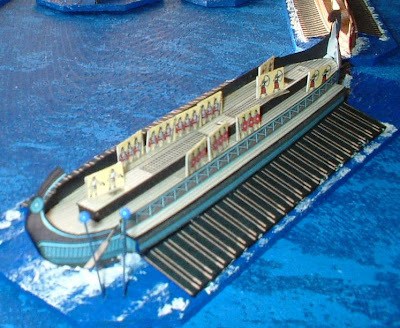 Herodotus says gangplanks are part of the normal equipment for an engagement at sea. This is a nutty problem for rules formulation. Does one consider a combat around a single 'point of entry' to the enemy ship or can one imagine every marine a potential boarder simultaneously ? At Salamis Herodotus gives the impression of a messy scramble of ramming but little boarding action which emphasises the association of ramming tactics with the 3 and boarding actions with the later, broader and more stable 4s, 5,s etc. 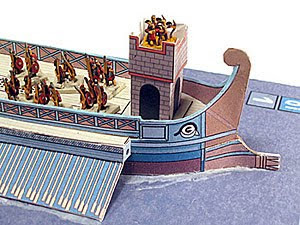 The Athenians limited their deck troops to 15 or so, 4 of them detailed to guard the helmsman just to maintain the agility of the ship as the weapon system rather than the troops it carried. Roman wall paintings often show decks teeming with armed men but we do not know if this is deliberately anachronistic or imaginative depiction of legends rather than a realistic view. I tend towards the idea that some local 'fire superiority' must be achieved so a plank can be laid across and give the first men a fighting chance to get onto the enemy ship alive. Thereafter their comrades follow and the fight spreads. Perhaps the situation is analogous to mounting the rampart of a besieged city for which the Romans gave the 'corona muralis' a special award for bravery to the first man up. The corona navalis was the equivalent given to the first to board an enemy ship so the honour and danger was well recognized. 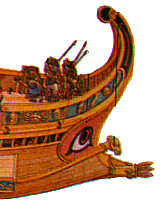 The nature of the gangplank must be something between the simplest plank imaginable, the ladder type as shown on the Talos painter's depiction of Jason boarding the Argo and the specific robust construction of the raven as given by Polybius. Polybius gives us the figure of 1.2metres width and 11 metres long. This length is no coincidence - it is approximately double that of the projecting length of an oar - this menas the raven could be lowered across the gap between two vessels with their oars out and required no special circumstance for its use so long as the captain steered the bow of the ship close to the target. He is specific about the side railings too - perhaps because they were not usually present on any kind of boarding plank. So the boarding device should be half to one metre or so wide - 1.2metres was enough for two men to cross says Polybius - and either flat planks or runged like a ladder. Just a thought about ramming. The proembolon is often cited as a device to grip an opposing ship once the boarding tactic has become prevalent. It is odd that most illustrated do not seem to have any obvious gripping characteristics. A ram is specially formed to cut and shear, should ancient technicians have not set their minds to this gripping problem too ? I think the upper fitting is not a ram at all but a defence for the rammer against damaging his stem-post. As a ship is rammed it does not just jump away from the rammer, it must also rotate towards him because the centre of gravity of the target is above the point of impact. Water behind the target cannot jump out of the way instantly, also. 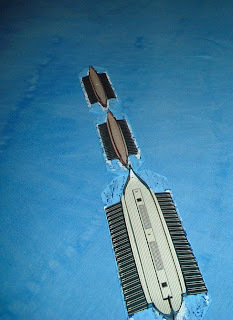 In addition, as ships become more built-out , with parados and heavier outriggers the attacker must reach -in under this construction to impact the target hull. The likelihood of being hit by the rotating target becomes greater. Probably wrong, but anyone got a reference to sort this out ? Some more of the paper crewmen I use. An assortment with Roman marines on the deck of the 6 (I will write something about the sails soon). The tower is occupied with a fighting group. There are Spartans, Athenians, Scythian bowmen and Punic Wars Romans lined up in front of the ship. 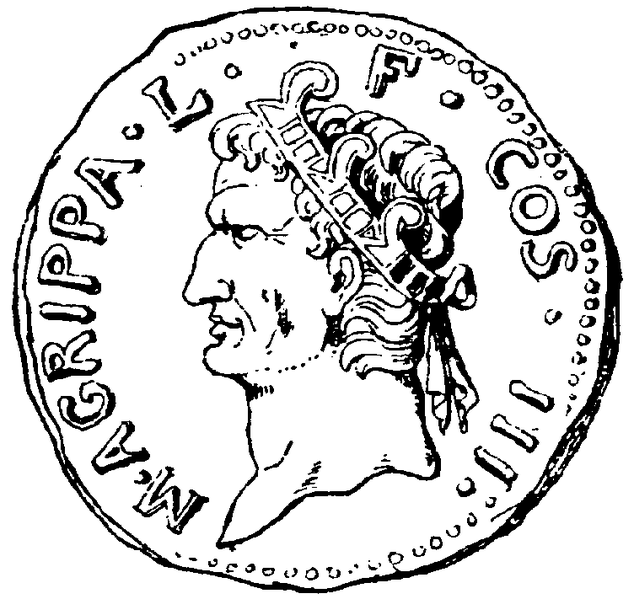 The nice groups with long spears ready are Carthaginians. Then there are some light troops, bows and slings. 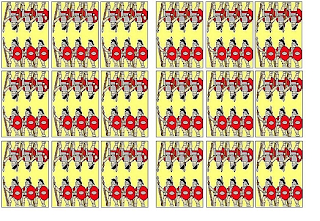 There are two matchstick palintonoi and a paper oxybeles shown.